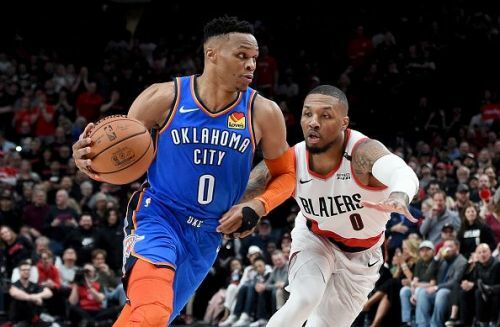 The Portland Trail Blazers will host the Oklahoma City Thunder tonight at the Moda Center in Portland. The Blazers stunned the Thunder in the Game 1, and it will be interesting to see how the visitors respond tonight. The Game 1 loss will be hard to digest for the Thunder team who were on a five-game winning streak before entering the playoffs. They will be desperate to make things even on this road game. Paul George scored 26 points in Game 1 but had an awful shooting night as he missed 16 shots in the game. Along with him, Russell Westbrook notched another triple-double with 24-10-10. Even the bench looked off-colour, we can expect the players to perform better tonight. Predicted starting lineup: Paul George, Jerami Grant, Steven Adams, Russell Westbrook and Terrance Ferguson. The Blazers are not an easy team to subdue, and they proved that by winning the first game against the Thunder. Damian Lillard was on fire and finished with 30 points on the night. 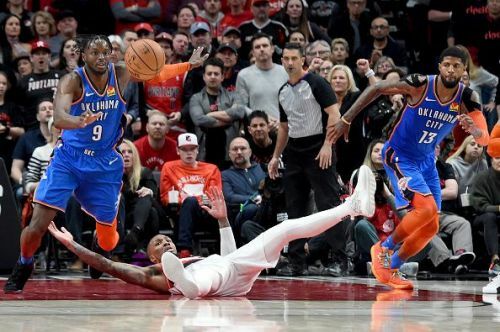 His partner in crime, CJ McCollum, contributed 24 points while Enes Kanter was active in the paint, grabbing 18 rebounds and scoring 20 points. The Blazers are extremely dangerous at home and perform at the highest level in front of their home crowd. They will be aiming for a 2-0 lead tonight. Predicted starting lineup: Al-Farouq Aminu, Maurice Harkless, Enes Kanter, Damian Lillard and CJ McCollum. The Thunder gave away a lot of points in the first quarter, which they will be looking to avoid tonight. Further, Paul George is not 100% which can be seen in the amount of taping he has on his shoulders, so the other players and the bench need to stand up for the team. 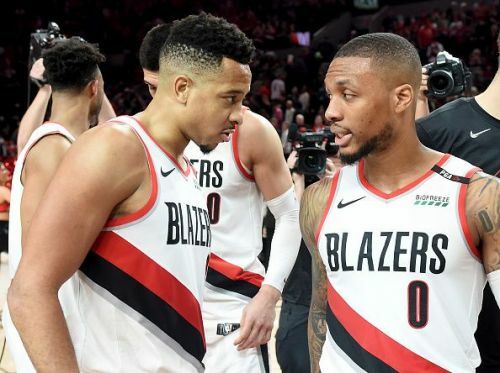 The Blazers usually bring out their A-game at the Moda Center but rely heavily on Lillard and McCollum. Both these guards are exceptional at home, and with the support of Kanter, they can break through the Thunder defence. I am predicting another Blazers victory at home to take a 2-0 lead. Prediction: Portland Trail Blazers to beat Oklahoma City Thunder.